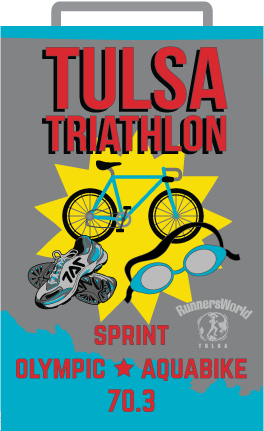 The Tulsa Triathlon is hosted by Tulsa Area Triathletes and produced by RunnersWorld Tulsa Racing. The Tulsa Triathlon starts and finishes at Birch Lake in Twin Peaks Cove. Birch Lake is 45 miles north of Tulsa and 25 miles south of Bartlesville, Oklahoma. 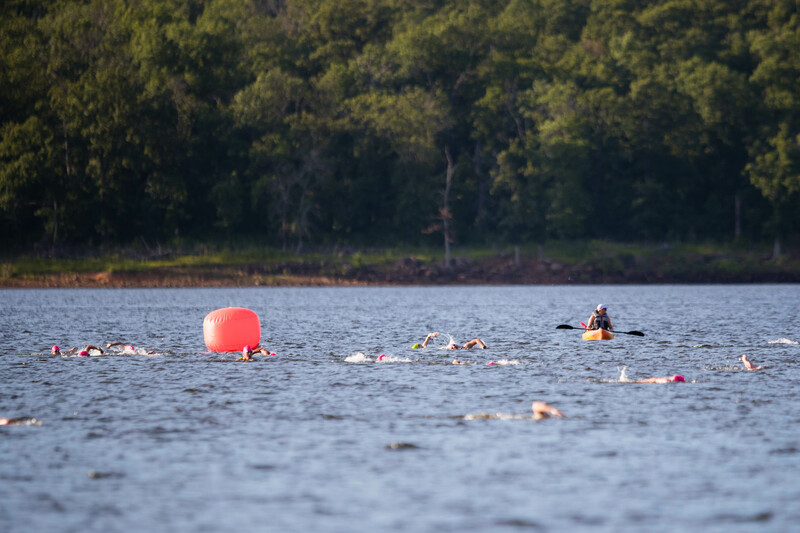 All events include an open-water swim with a beach start. The transition area is located in paved parking lot. The bike course is on paved roads and the run is a combination of pavement and packed gravel. Aid stations are on the course and near the transition area to help keep your hydration and nourishment in check. The finish line includes food, drinks, music, shade and plenty of chances to cheer for the other participants. 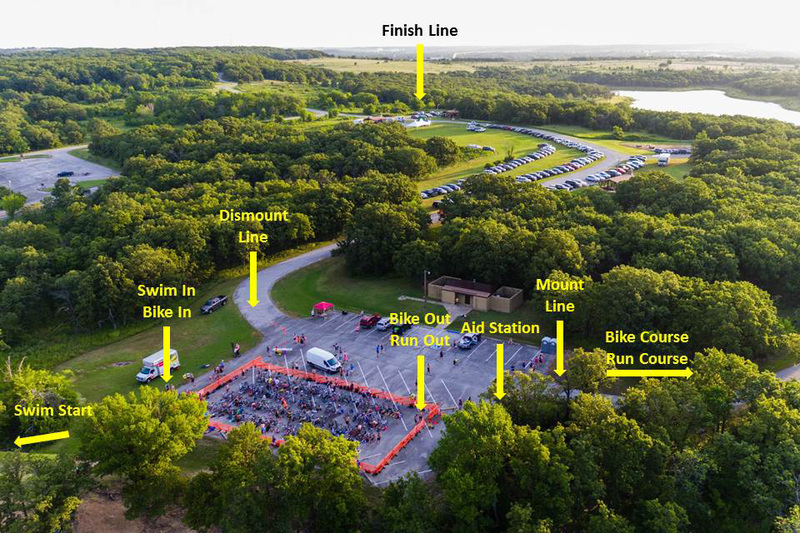 Tulsa Area Triathletes is excited to offer the Kid's Triathlon this year at Twin Cove Beach on Birch Lake. Packet pick-up for the Kids Triathlon will be at RunnersWorld Tulsa, 3920 S. Peoria on and , 10am-6pm. Race shirts will be given to all participants and medals will be given to all finishers. Read our important tips to ensure you and the kids are ready on race day. The Tulsa Triathlon provides many opportunities for friends and family to watch you perform. 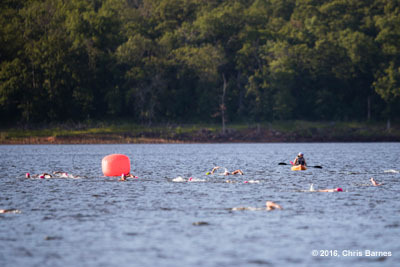 Birch Lake has a great swim beach near the start line. The transition area in the parking lot is a great place to watch and cheer participants as they transition from one segment to another. The finish line is not far from the transition area and a great place to see all the competitors in action. 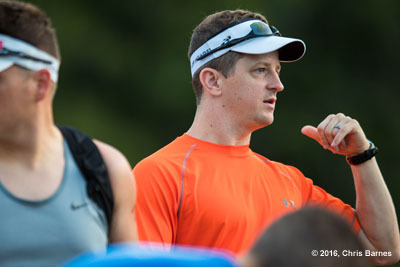 Tulsa Triathlon wouldn't be possible without the help of great volunteers. Sign up for a shift at our VolunteerSignup website. Don't worry if you are new to the volunteer scene. You'll be working alongside and learning from the best of the best. Read our TAT Race Tips and Advice page to be ready for the Tulsa Triathlon. Shirts and requested sizes are only guaranteed if you register prior to April 4th, 2019 due to ordering and production timelines. After April 4th shirts will be available on a first-come basis. If you plan to stay in a nearby hotel consider hotels in Bartlesville, OK. Most are 25-30 minutes from the race location. 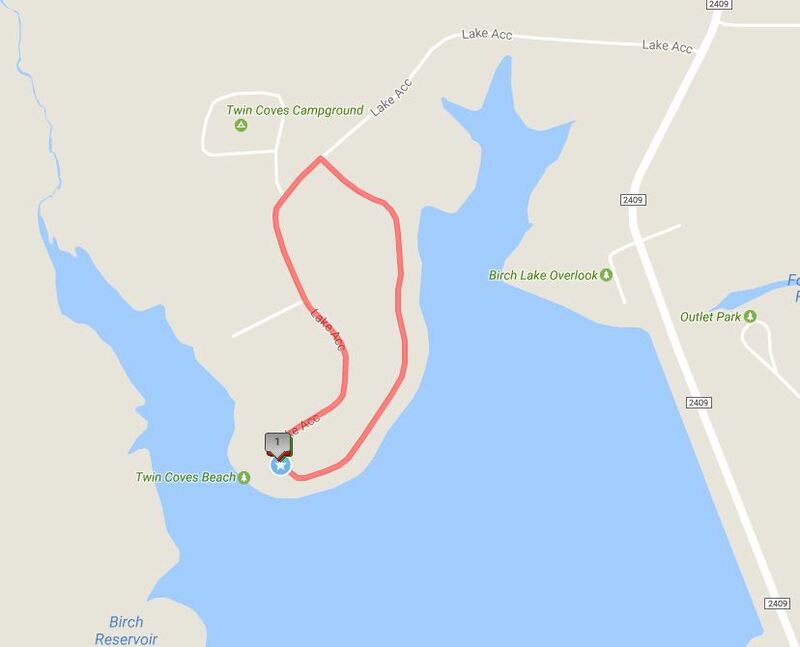 Parking is available in Twin Coves Beach Park near the finish line and transition area. Do not cross any cones or barricades to park since our transition area and course need to be clear of obstructions and hazards. 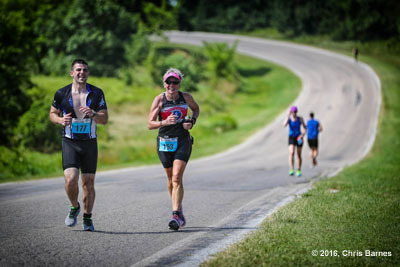 Tulsa Triathlon is a Champion Chip timed event. Participants must pick up a timing chip on race day and wear it on your ankle the entire race. It will be removed at the finish line. There will be a transition area setup just like the adult events. The swim will be along the Twin Coves Beach inside the marked swim area. All kids must wear their helmet (with chin strap fastened) anytime they are riding their bike. 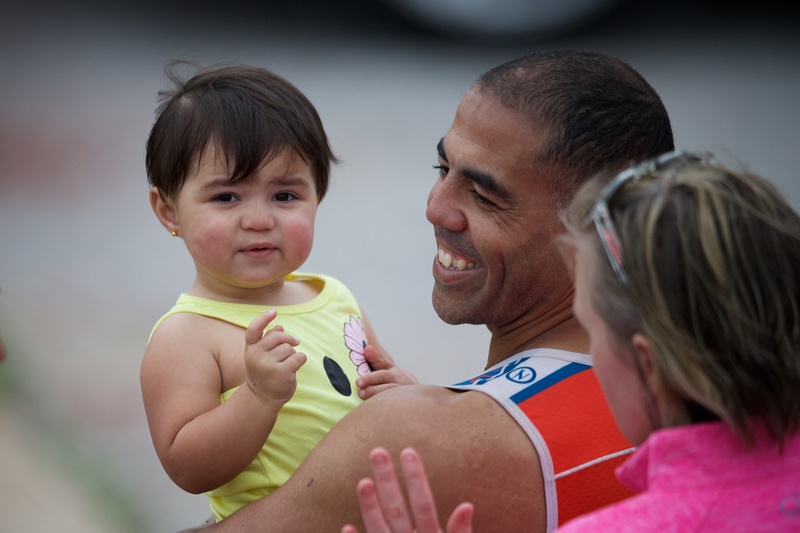 Parents are encouraged to let the kids experience the triathlon sport at their own pace. Experienced volunteers will provide support before and during the race. Parents are allowed to help the kids setup their gear in the transition area. Parents are not allowed in the transition area during the race. Volunteers will be in the transition area to help the kids as needed. All gear must be setup in the transition area by 10:05am. Be sure to remember bib, shoes, bike, helmet, towel, shirt, water bottle. There will be a pre-race meeting at 10:05am at the start line on the beach. Ages 5-8 will race first followed by the 9-12 year olds. Timing will be tracked by total time to complete all three legs of the triathlon. This is not a chipped timed event. Each finisher will receive a Tulsa Tri medal. No age group awards for the Kids Triathlon. Use caution when driving and parking as the adult Sprint Triathlon is before the Kids Triathlon and bikers or runners will be on the roads. 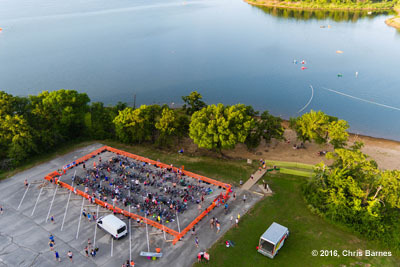 Start times could be delayed based on when the adult Sprint Triathlon participants finish.